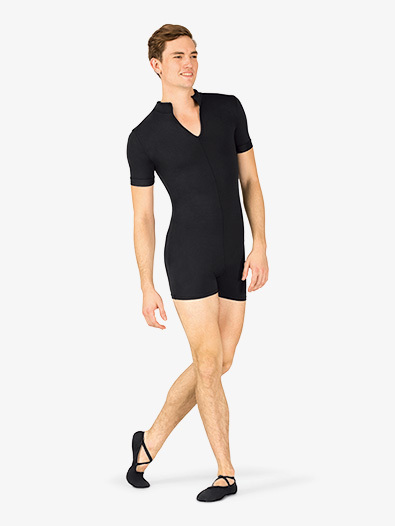 OUR PRICE: $39.55 - Join Rewards Get $1 Dance Dollars On This Item! A stunning performance or class piece - this shorty unitard features a mock neck collar with a contrast trim, a v-front, contrast short sleeves, and an elongating vertical seam. 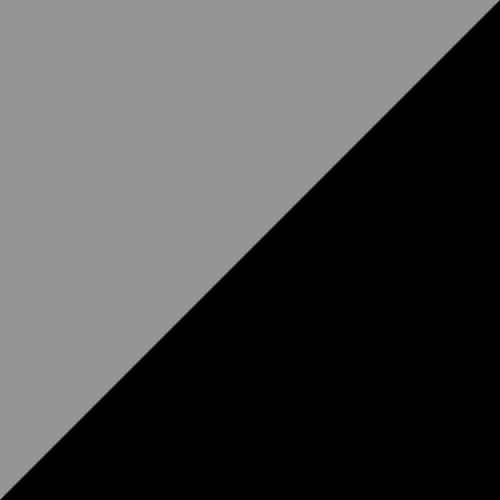 Black/Black color is solid black and does not feature contrast trim or colorblock design. 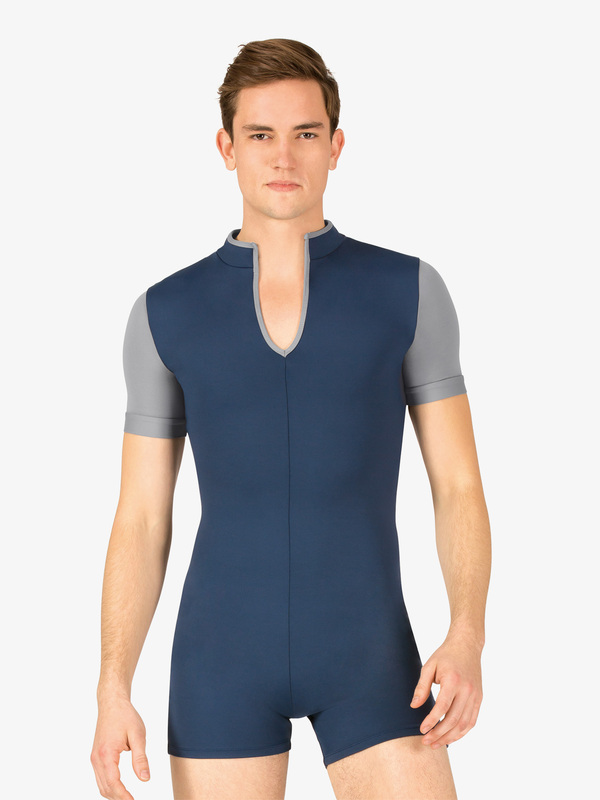 My teen son loves this unitard. He has outgrown some of his custom ones from the well-known brands, and I didn't want to spend (or wait for) more of those custom ones, so I ordered one of these. Though the color choices are limited, the fabric is very nice and the fit is very flattering. He's very slim and small for his age, so he does like a little shoulder coverage. These sleeves are perfect. I highly recommend and wish they offered more color combos!